In this Sept. 28, 2016, file photo, Mark Cuban speaks onstage during the THRIVE with Arianna Huffington panel at The Town Hall during 2016 Advertising Week in New York City. "I'm down to maybe four dividend-owning stocks, two shorts, and Amazon and Netflix," the billionaire says. "We borrowed from the future to kind of pump up the current market," says Cuban, an outspoken Trump critic. "There just no way where you can say, 'I just trust everything that's going on.' And that concerns me," he says. Billionaire entrepreneur Mark Cuban told CNBC on Monday that he's holding much more cash than he normally does because he's concerned about the stock market and U.S debt levels. "I'm down to maybe four dividend-owning stocks, two shorts, and Amazon and Netflix. I've got a whole lot of cash on the sidelines," Cuban said on "Fast Money Halftime Report." "[I'm] ready, willing and able if something happens" to invest. Cuban said Amazon and Netflix are his biggest holdings. But he refused to reveal his short positions, the stocks that he's betting against. "I'll keep that to myself." Mark Cuban on markets: I have a lot of cash on the sidelines from CNBC. "Put aside tariffs, put aside what the president is doing, he's got his reasons," said Cuban, an outspoken critic of Donald Trump as a candidate and as president. "There just no way where you can say, 'I just trust everything that's going on.' And that concerns me." 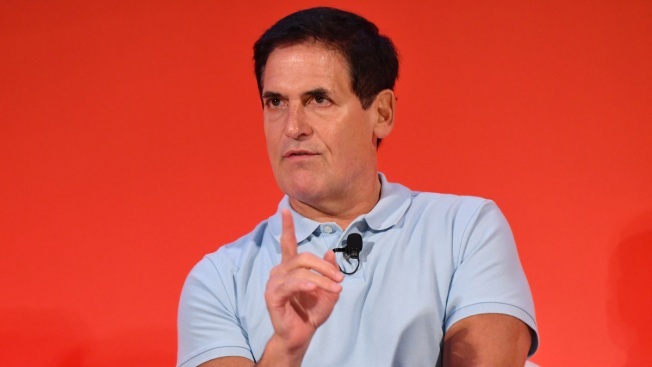 "We borrowed from the future to kind of pump up the current market," said Cuban, owner of the NBA's Dallas Mavericks. Running up the national debt is just as bad as the Federal Reserve continuing historically low interest rates much longer than needed after the 2008 financial crisis, he contended. "If I get a feeling that [economic] growth will continue at 4-plus percent and the debt will then come down, then I'll get back into the market," said Cuban. The "Shark Tank" investor provided no update in Monday's CNBC interview on whether he might run for the White House in 2020. Asked in June whether he's given more thought to running, Cuban told The New York Times via email then, "Yes. But not willing to discuss at this point." Disclosure: CNBC owns the exclusive off-network cable rights to "Shark Tank," which features Mark Cuban as a panelist.